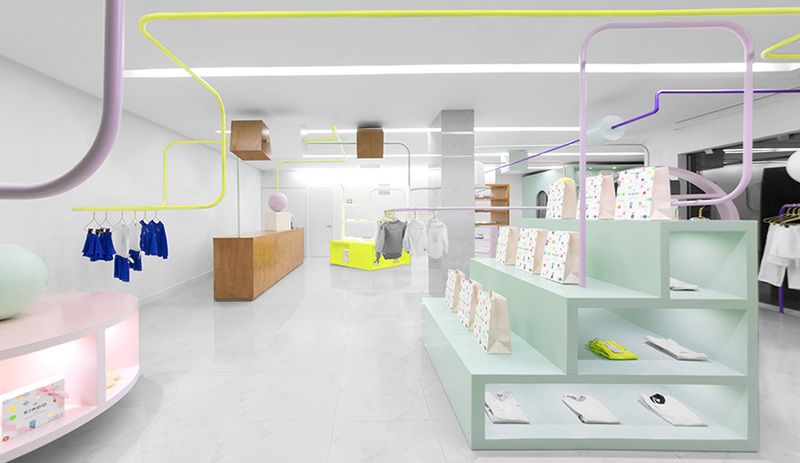 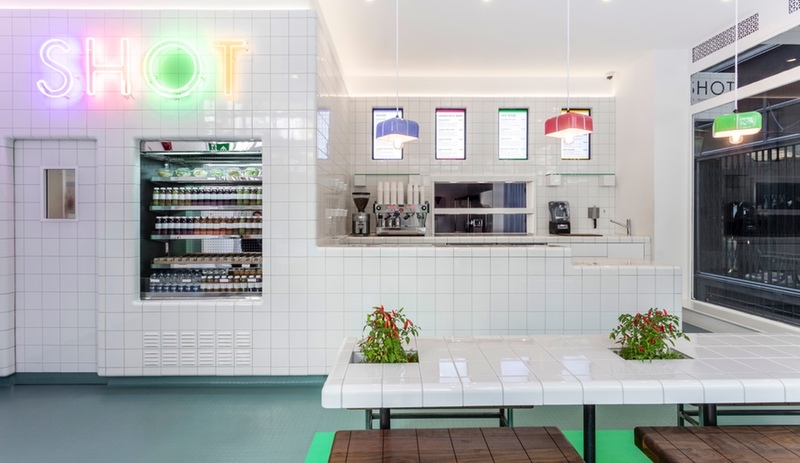 Wilson Holloway’s interior for SHOT, a London health food restaurant, is a bright-white canvas inspired by clinics and subway tiles. 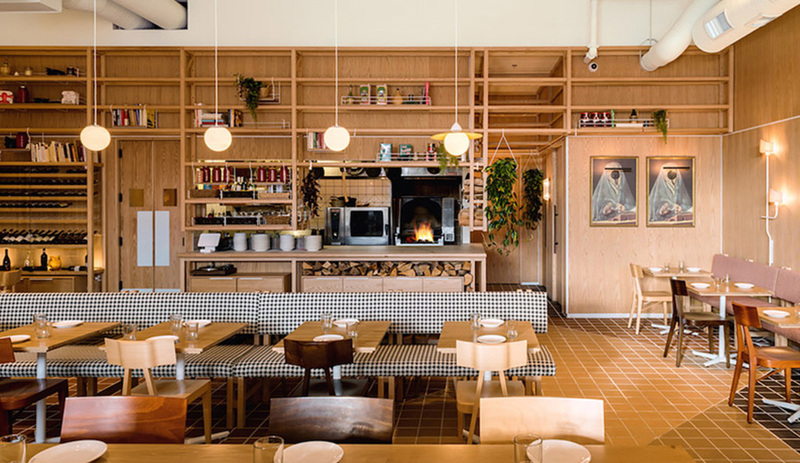 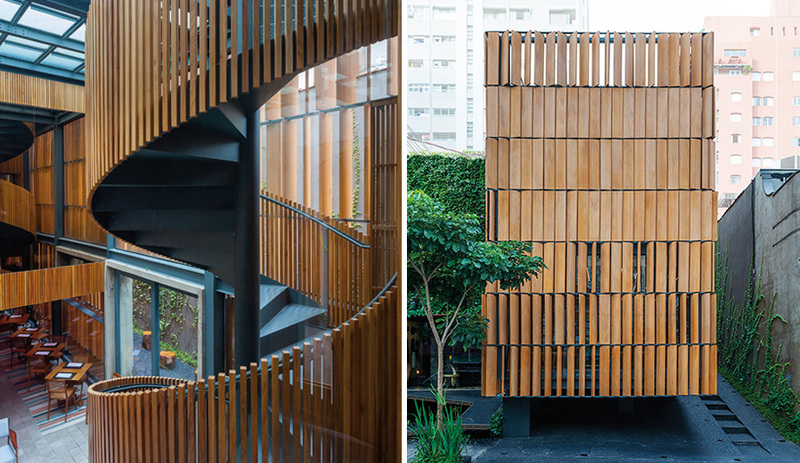 Savio Volpe, a new restaurant designed by Vancouver firm Ste. 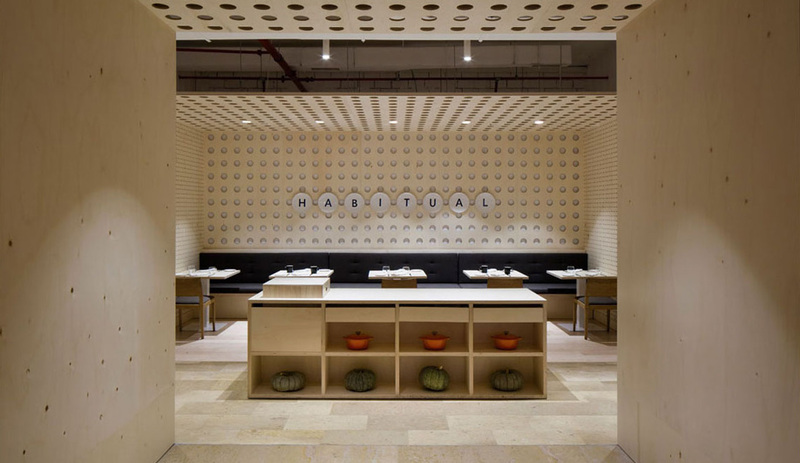 Marie, is clever as a fox – which happens to be its muse. 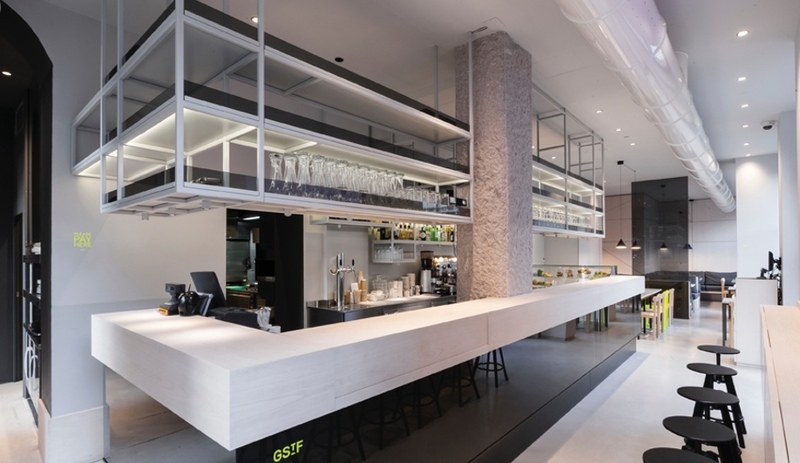 In the W Montreal hotel, Sid Lee Architecture creates the ê.a.t. 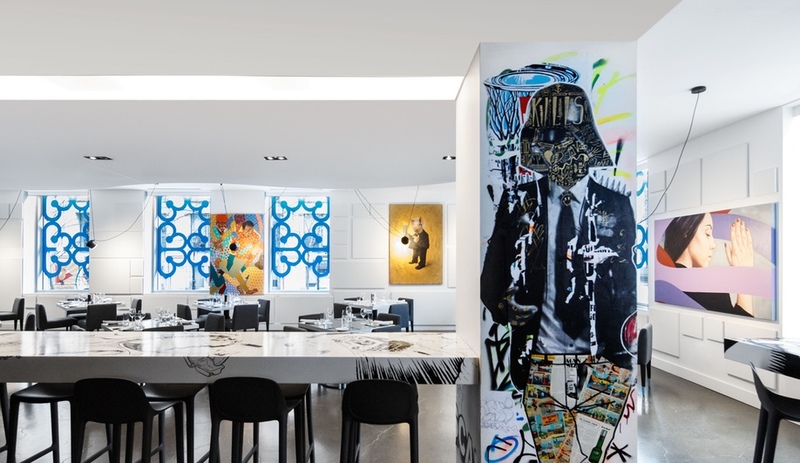 restaurant, featuring boisterous murals by a collection of artists. 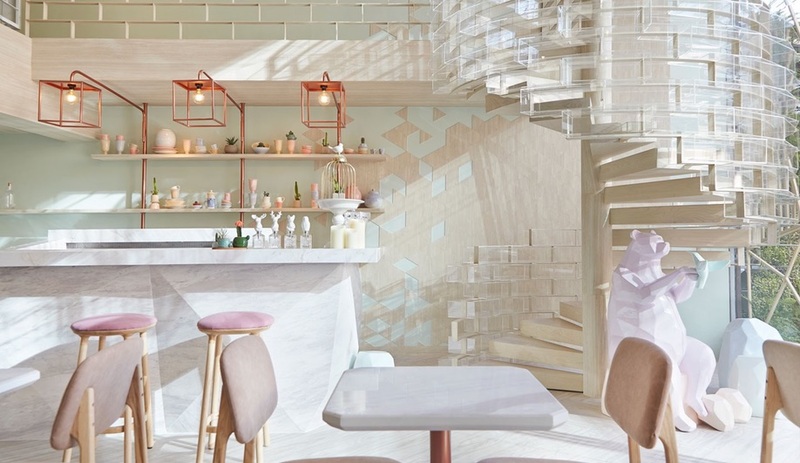 From Kindo in Mexico and Hotel Hotel in Canberra to the Terrazza Triennale in Milan, we select the standout interior design projects that got us talking – and inspired – in 2015. 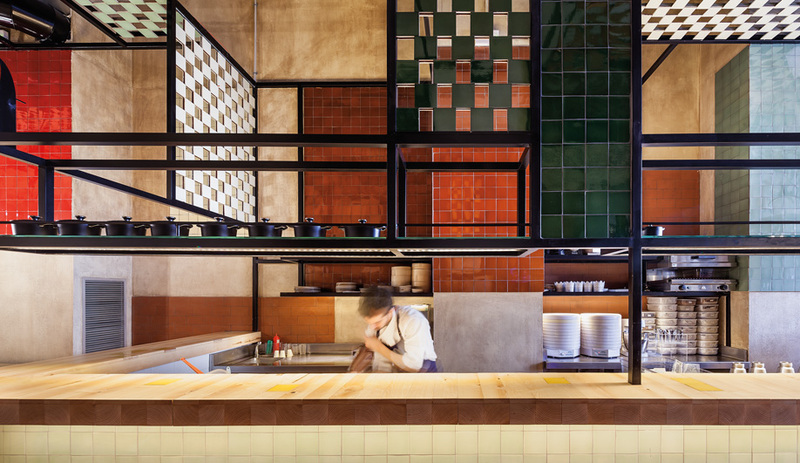 The second location of this restaurant in Milan, designed by Studio C Milano, is bright, modern and laid back. 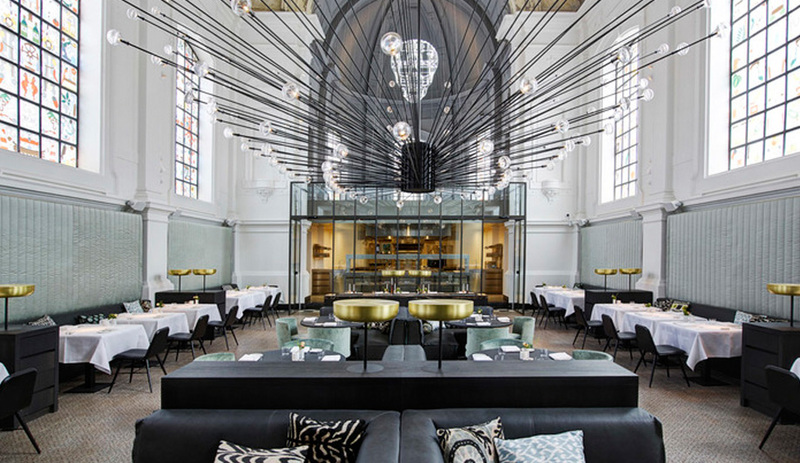 The Jane, by Studio Piet Boon of Amsterdam, has won top prize at the seventh annual Restaurant and Bar Design Awards, which recently announced its 38 winners.